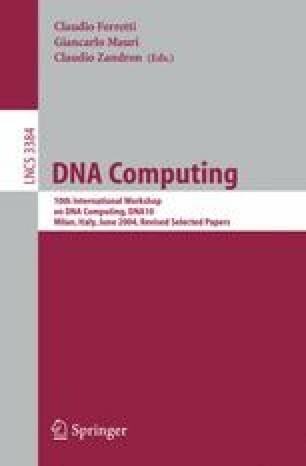 The input data for DNA computing must be encoded into the form of single or double DNA strands. As complementary parts of single strands can bind together forming a double-stranded DNA sequence, one has to impose restrictions on these sets of DNA words (=languages) to prevent them from interacting in undesirable ways. We recall a list of known properties of DNA languages which are free of certain types of undesirable bonds. Then we introduce a general framework in which we can characterize each of these properties by a solution of a uniform formal language inequation. This characterization allows us among others to construct (i) a uniform algorithm deciding in polynomial time whether a given DNA language possesses any of the studied properties, and (ii) in many cases also an algorithm deciding whether a given DNA language is maximal with respect to the desired property.